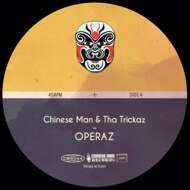 “Operaz “ is the new epic joint on Chinese Man Records by Chinese Man & Tha Trickaz . “Operaz” features vocals by Youthstar & A.S.M. (A State Of Mind). The EP contains the vocal version, instrumental and acapella.